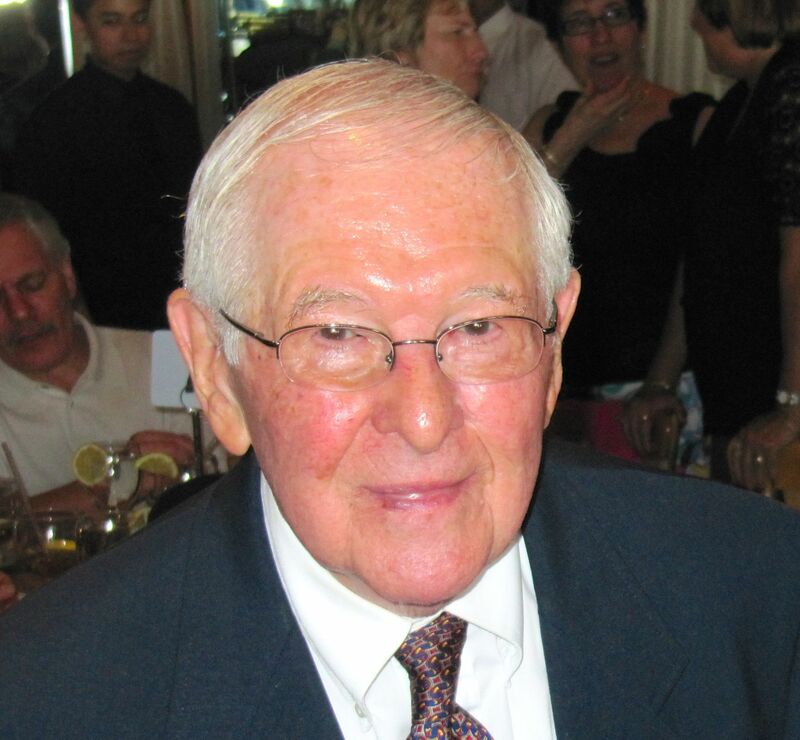 Born on April 16, 1920, in Tarrytown, New York, Alfred Abraham serves on the Musicians Club of New York’s Board of Directors and has been a steady patron to the Club. A CPA and commercial bank CFO and Treasurer during his business career, his love for music began at an early age––as in many Jewish homes, studying music was a requirement. He fondly remembers playing violin in the Washington Irving High School orchestra in Tarrytown, and listening to the weekly Damrosch Hour––hosted by Walter Damrosch, the great early leader of the Musicians Club of New York––which was broadcast throughout every classroom in the school during the years 1932-1936. Like so many others in all walks of life, Alfred looks back at his early music training as crucial to his success in his career as well as in life, and being an active member and patron of the Musicians Club of New York is one way he “gives back,” which is his consistent theme at this stage of his life. Immediately after completing high school, Al went away from his home in Tarrytown for one year of college at the University of Michigan. Although he remembers this year fondly, developing lifelong friendships, he remembers the difficulty of antisemitism that prevailed, even in the availability of student housing. But, also, he remembers his own family’s financial inability to send him back for his second year. Instead, his father was able to secure him a clerk’s position at a local bank near his home, where he developed his interest in finance and accounting. He enrolled at NYU (School of Commerce, now the Stern School of Business) and commuted to his night classes. Al remembers the grind––returning home from a day at the bank for an early supper, and then rushing off to catch the 4:38pm train to arrive in time for his first class at 6pm, returning to Tarrytown after 10pm. He graduated in 1941 and has been a proud, active alumnus ever since. Among his donations to “give back”, he has established the Alfred B. Abraham Scholarship Fund for NYU Stern students, to permit future generations to benefit from the same opportunities his NYU education provided. In addition to his scholarship, Al is a longstanding contributing member of NYU Stern’s Haskins Giving Society and the Society of the Torch, returning to campus frequently, meeting students, faculty and other alumni, always inspiring others with his story of how his education contributed to his success. His first job was at a major accounting firm, then at Estée Lauder as their first Controller after their founding in 1946. Following a career as a financial executive, he accepted the position of Treasurer and Financial Vice President at Congress Financial, an early leader in asset-based lending, later known as CoreStates, which became part of the Bank of Philadelphia and, eventually, part of Wells Fargo. It may seem odd to have an elder statesman lecture on some of the more esoteric functions of his iPhone, but, along the way, Al introduced his bank to mainframe computers and taught himself coding (punch card, of course) and hardware, in order to make purchasing decisions and to customize software. After his retirement, the company relied on Al’s expertise and retained him as a consultant for the next 10 years. He returned to NYU as an adjunct instructor, teaching retail finance management courses, and he was a frequent contributor to finance and accounting journals. In addition to giving back, Alfred has traveled around the globe throughout his life, including working for extended periods throughout the United States. In addition to giving back, Al encourages everyone to travel as much as possible to get as much out of life and to understand the world as much as possible.